A suspect was cited for leaving an unattended dog in their vehicle. An unattended dog left in a vehicle without any water and little air led Santa Clara County sheriff’s deputies to issuing a citation earlier this month. At about 2:40 p.m. on April 7, deputies responded to an animal cruelty call at The Marketplace shopping center at 19620 Stevens Creek Blvd. 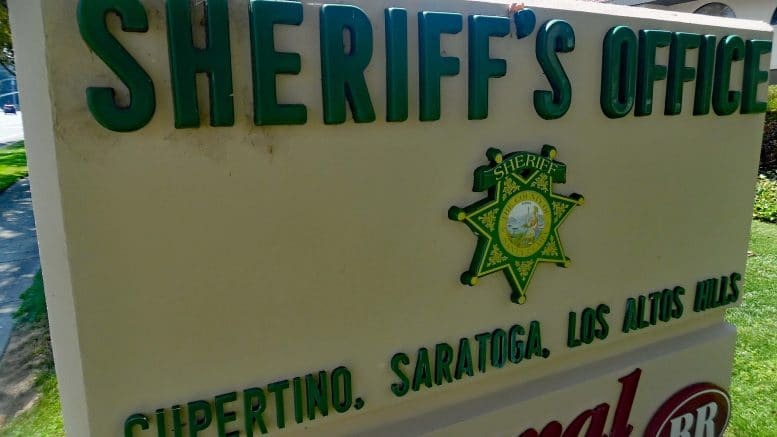 Their investigation “revealed the suspect left a dog unattended in a vehicle parked in the sun for over one hour, without any water and little air,” according to the sheriff’s office. The suspect was cited and released for having an unattended animal in the vehicle. At about 1 a.m. on April 3, a suspect broke a glass window at Cupertino Family Eye Care on Bandley Drive and took two desktop computers for a total loss of about $4,000, according to the sheriff’s office. The T-Mobile store suffered a broken window earlier this month after someone threw a rock at its glass window just after 1 a.m. on April 3, but the suspect did not gain entry, deputies said. A vandal is believed to have scratched a vehicle parked at Homestead Bowl, 20990 Homestead Rd, causing $9,700 in damage, deputies said. The incident reportedly occurred overnight — between 8:40 p.m. on April 9 and 7 a.m. the following day. The suspect or suspects in a car burglary near Le Queena Boutique in the Cupertino Village shopping center on N. Wolfe Road on April 3 made off with a briefcase containing a laptop and cash totaling about $1,700 in losses, deputies said. The incident happened between 9 p.m. and 9:20 p.m.
Two days later, the windows were broken on two vehicles parked at the same shopping center between 7 p.m. and 8:18 p.m. Backpacks containing an electronic tablet, headphones, laptops, tax return paperwork and a wallet were taken in the thefts for a total loss of about $4,930. After finishing a $671 meal at Alexander’s Steahouse in the Main Street Cupertino shopping center on April 14, diners attempted to pay with electronic gift cards, which the restaurant doesn’t accept as payment. So they walked out without paying at about 11:50 p.m. and are “unknown and at large,” as of the sheriff’s office latest report on Friday. A suspect was arrested in Santa Clara on suspicion of stealing mail from a mailbox in the 10000 block of Scenic Boulevard in Cupertino on March 25 and April 3. At the time of his arrest, the suspect “was in the victim’s vehicle, which was previously stolen from San Francisco,” sheriff’s deputies said. “Of the stolen mail in the suspect’s possession were bank checks intended for the victim, which had been altered and forged,” deputies said. Be the first to comment on "Cupertino crime beat: Unattended dog in vehicle leads to citation"